Shingle roofs over time develop black stains over the entire life of the shingle. This is caused by algae. The algae is actually a living bacterium that is feeding off of the asphalt in the shingle. Left unattended, this creates shortened shingle life, increases electric bills because of the insulating factor of the algae and is just not aesthetically pleasing to neighbors and prospective buyers. We use only Asphalt Roofing Manufacturers Association andRoofing Manufacturer (GAF, Largest Shingle Manufacturer) approved chemical solutions and cleaners on your roof. 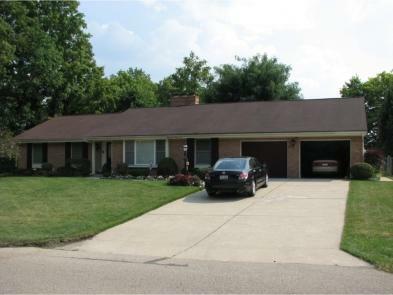 Your local roofing contractor knows why your roof is discolored and needs cleaning, and so do we! The black and brown discoloration on your roof isn’t actually dirt at all. 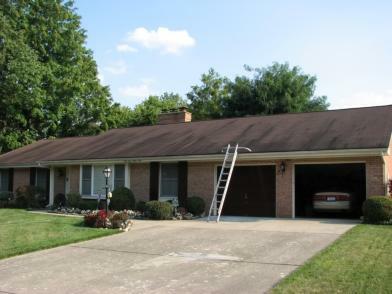 Your roof is discolored and streaked because algae, moss and lichens are growing on it. This plant thrives in the humid climate and feeds on the limestone filler now being used in roofing shingles. In years past, this plant simply didn’t have a food source. Therefore, roof cleaning was seldom necessary. This all changed with the introduction of fiberglass roofing shingles during the past 20 years which contain massive amounts of alkaline food that this algae just loves to eat! That food of course, is the limestone currently being used by shingle roofing manufacturers. Your reasons for cleaning your roof are your own. Whether you are selling your house, getting ready to paint, had shingles or tiles replaced, got a nasty letter from the Homeowners Association or your Property Manager, or just take pride in your home, please remember one thing…..All roof cleaning companies are not the same! Many roofing contractors can tell you of roofs they have prematurely replaced due to improper cleaning methods.